Yesterday, I took advantage of a marketing opportunity with Amazon’s Kindle Direct Self Publishing. You have the option of up to 5 days free promotion; which can be used for consecutive days or it can be used independently. It proved successful in more ways than one. Not only has my book been downloaded across the world now, I discovered it prompted a few sales today of both e-books and paperback. Excellent! However, Self Promo is exhausting and even I got sick of seeing my own tweets! So I just wanted to say a huge THANK YOU to everyone who downloaded my book, Retweeted my tweets, followed me and to those who went on to buy it today. I really appreciate it. Now to reward myself with yummy food and vino…. 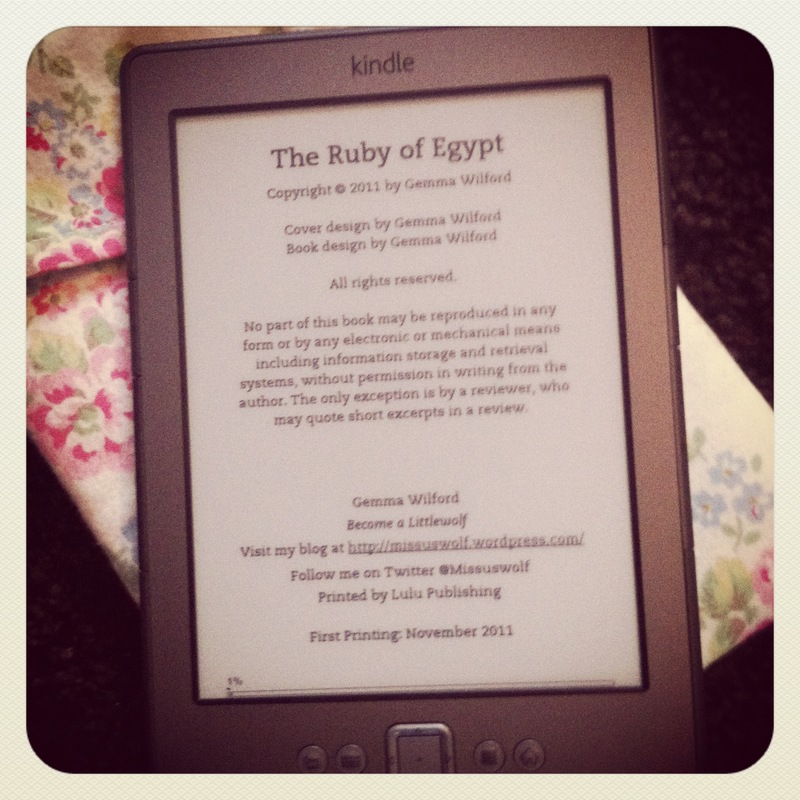 This entry was posted in Kindle, The Ruby of Egypt and tagged Amazon Kindle, Book, E-book, Publishing.